And please share great posts that you have found as well. 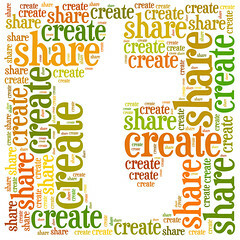 Make sure you tell them you are sharing their creative, fun idea. Every week I feature 6 of my favorite projects. So come back every week to see if you have been featured. for those who want a jumpstart at adding their links. Label Share Wednesdays to scan through all our parties.